As any of the nation’s large mobile app developers in Los Angeles can tell you, one of the keys to creating a successful app is choosing the right platform. 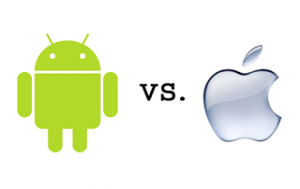 Some apps do better on iPhones while others are best on the Android platform. Which is best varies depending on your app’s specific operation and goals. Cost – In some instances the cost of developing an app is about the same for both platforms. Android, however, offers a much wider variety of devices which could lead to costly redesigns while trying to make one app work across multiple interfaces. Revenue- iPhone apps typically generate more revenue through in app purchases than their Android counterparts. Timing – Requiring about 40% more code, Android app development takes twice as long as iPhone app development. Android apps, however, carry a much shorter approval time and may get to market faster. Market – iPhones are huge in the United States but Android is the better choice if your target markets are in Asia, Africa or South America. Engagement – While Android apps reach a wider audience, every iPhone app development company Los Angeles knows that their users are far more engaged and loyal than their Android using counterparts. Updates – iPhone users are much more likely to update their apps regularly and stay connected. Note, however, that Apple has much stricter polices about how often new features and updates can be deployed. iPhone is the winner here if you plan your updates carefully, though. Overall, the iPhone app is typically the winner for most, but not all, apps. A wise and widely adopted strategy for app developers has been to design their app for Apple’s platform first and then later roll out an Android version. Your business will have to weigh all the pros and cons to find the best strategy for your particular app and company goals. Halcyon Innovation does Android app development, and general mobile application development from a studio based in Los Angeles.